Who knew that our pocket-friendly, neighbourhood tea cafe had ventured into the home delivery space? 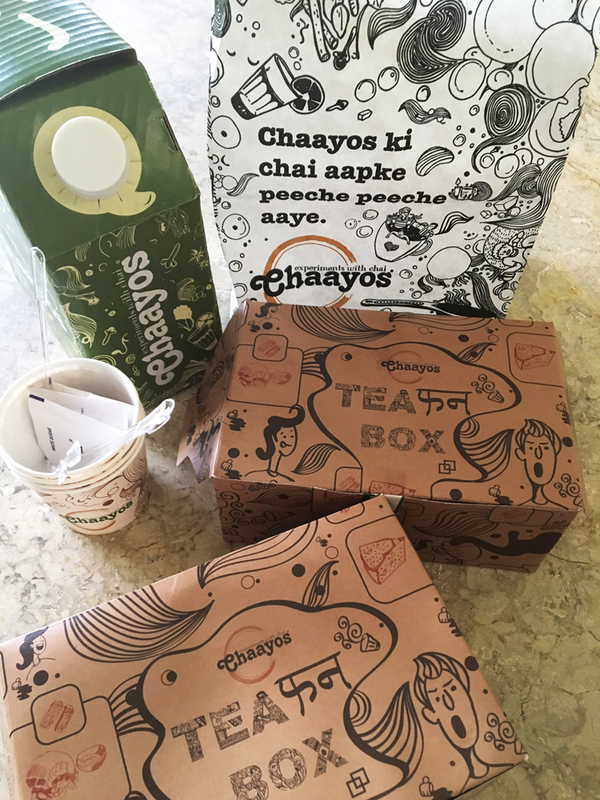 Of course we had to test the delivery for ourselves to see whether it lived up to the ‘chaayos ki chai ab ghar ke sofe par’ mantra. 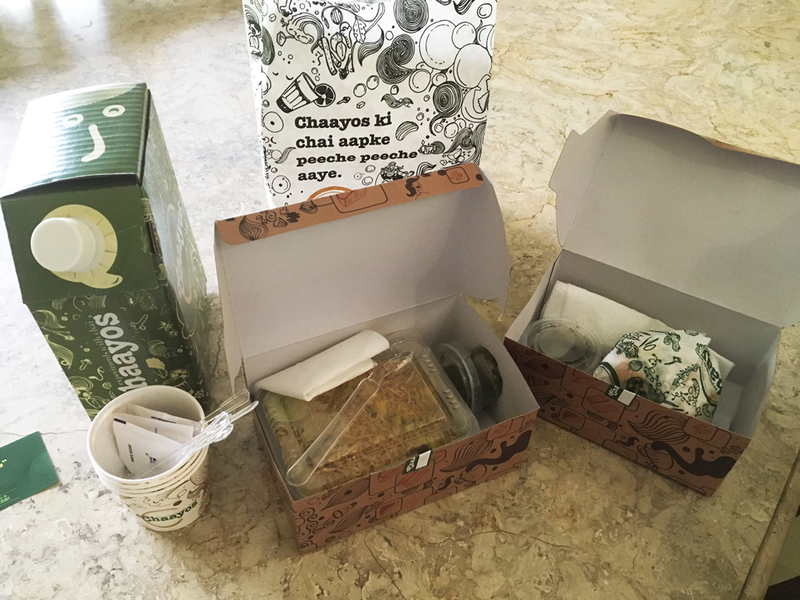 I was in a rush to meet a deadline, had no time for breakfast making, still wanted something yum, so I checked old faithful (Zomato) and stumbled upon Chaayos Delivery. 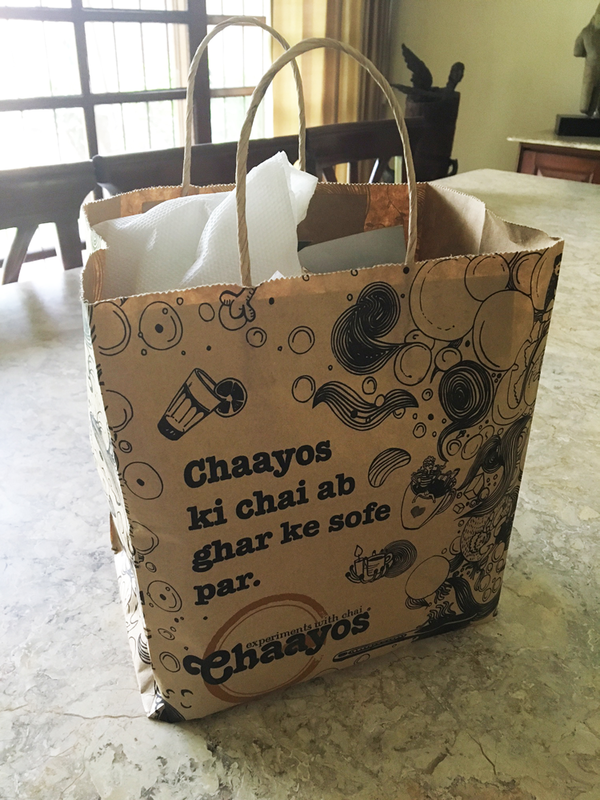 Having good memories from all my visits to the Chaayos in Galleria Market, Gurgaon, I decided to give it a go. The person who took my order was very pleasant, and it reached me in 25 minutes. The packaging was creative and fun, and everything reached piping hot. The masala chai, which I received complimentary for ordering for the first time, was delicious. 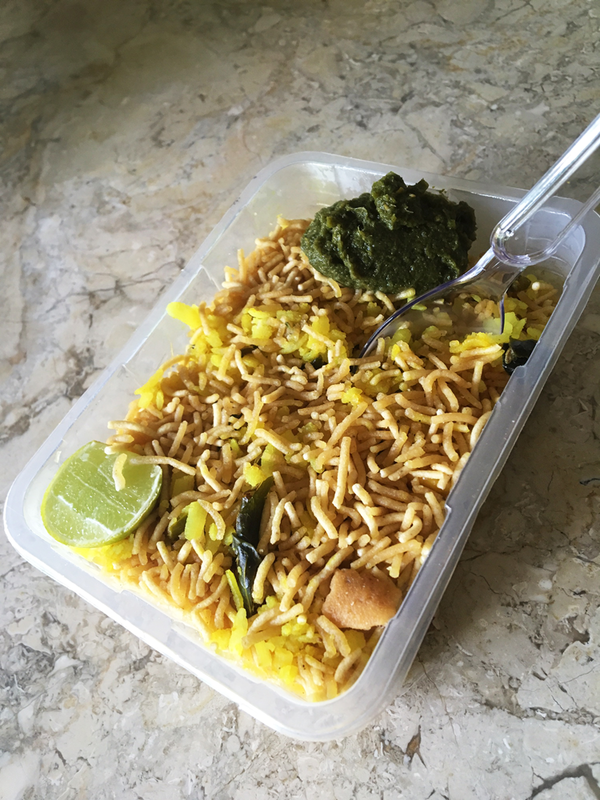 The poha was ok, I had slightly higher expectations of it, but it was fine. The accompanying green chutney was good. The vada pao was disappointing. It was dry and lacked any of the punch one typically associates with this street food phenom. 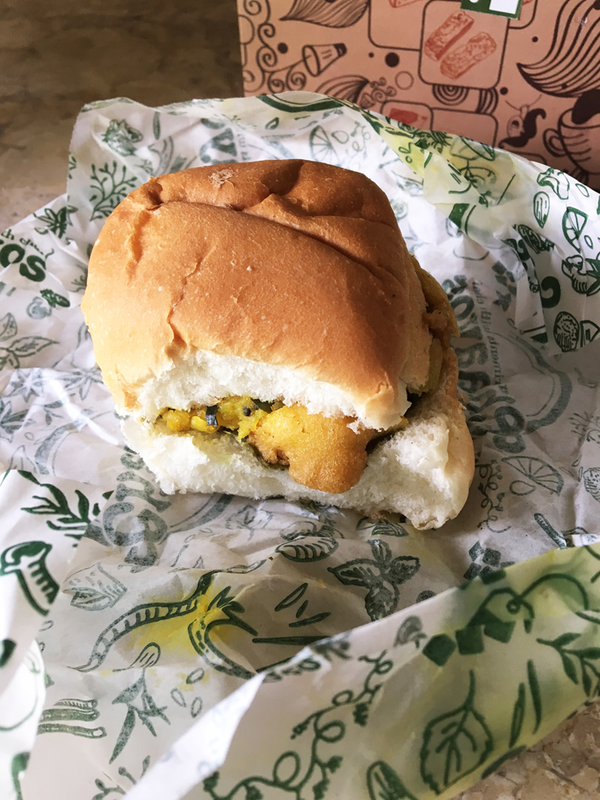 I don’t know why I keep trying vada pao when no one in NCR can make them, but I do. I suppose I live in hope. 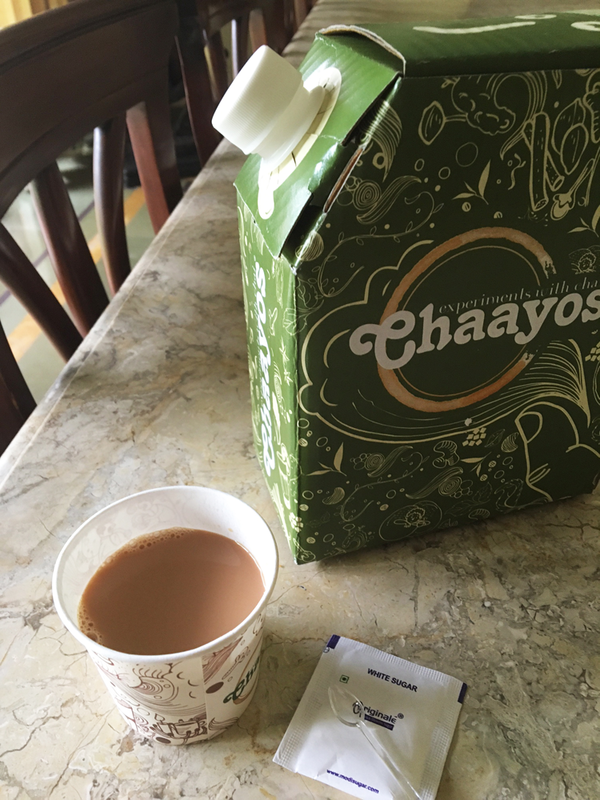 In all, the service and efficiency of Chaayos was impressive, but unless you’re keen on tea and can manage the eats yourself, I’d stick to the outlets.